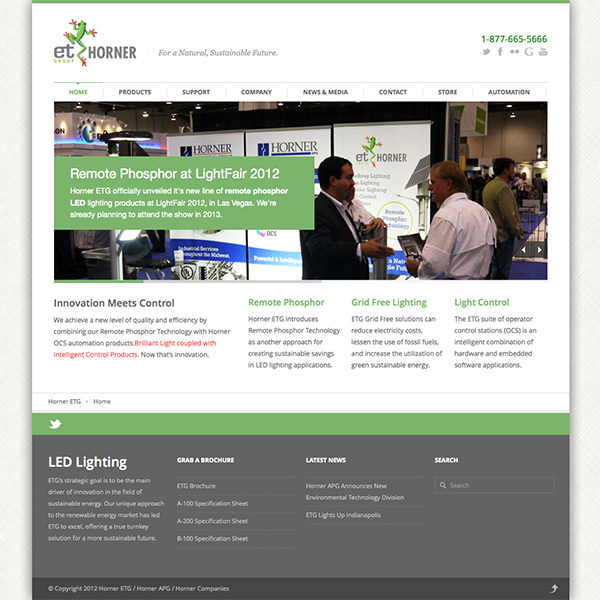 Website designed and developed for new LED lighting startup located in Indianapolis. Frog brand was a carryover from prior company. Design concentrated on natural, earth toned colors with a balance of white space. Maximizing our real estate with a responsive, mobile friendly, website to maximize reach.